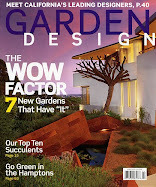 From the same people that brought us Cottage Living, Cottage Gardens has just released their September '08 issue and has named the Lenkin Gardens as one of the 10 most romantic gardens in the United States! Included are tips on how to add romance to your very own garden. Have any romantic thoughts of your own? Please leave a comment and share. Check out the issue at your local newsstand.